Francesco della Rovere, the son of wealthy merchants, was born in 1414 near Savona and educated in Bologna and Padua. He joined the Franciscan order in Savona and distinguished himself with his personal gifts of scholarship and oration. He was a highly sought-after preacher and considered remarkable as a theologian. 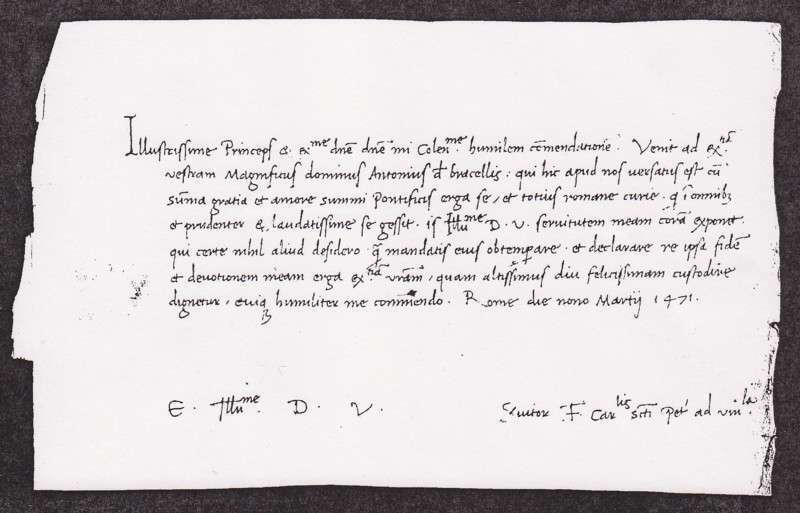 Rovere rose in his Franciscan community becoming Minister General in 1464 at the age of fifty. In 1467 he was made a cardinal and four years, on August 9, 1471, the conclave elected him pope after the sudden death of Paul II. By all respects, given his personal gifts, Sixtus IV should have emerged as one of our greatest popes. Within Rome itself, this truly Renaissance man created artistic achievements still enjoyed today. Streets were widened and improved. New roads were constructed, dilapidated housing removed, a bridge built bearing his name and a hospital restored. Great festivals were held and enjoyed by the people and festivities for the Jubilee Year were planned. Sixtus built a new library in the Vatican, possibly his crowning achievement. He promoted Platina (once imprisoned and tortured by the previous pope, Paul II) as its second librarian and restored the College of the Letter Writers, the Abbreviatori. Several churches owe their restoration to his beneficence and several chapels were also built during his papacy. 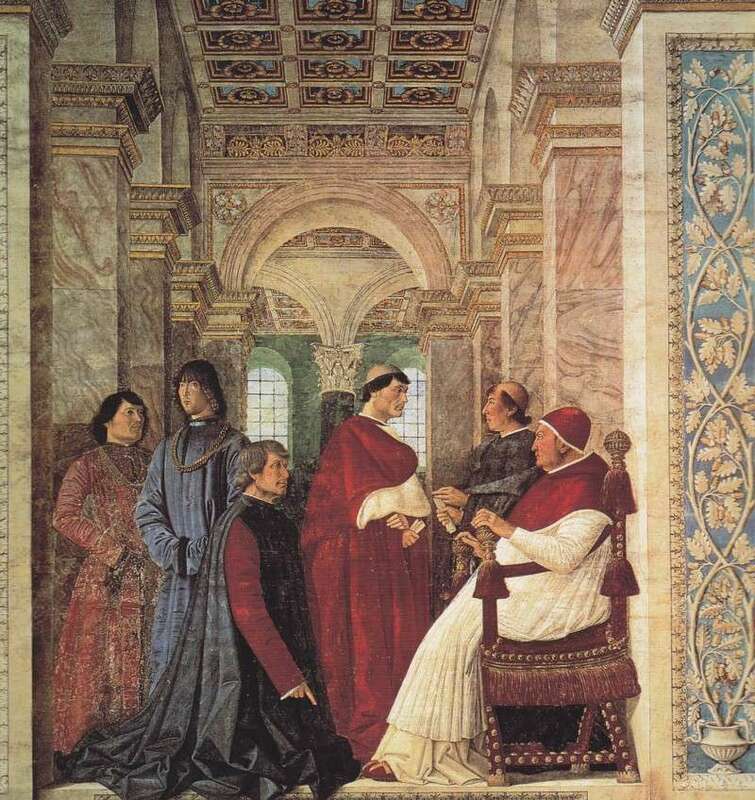 Additionally, Sixtus is responsible for the creation of the Sistine choir and the Vatican archives. Sixtus IV, elected by a conclave of eighteen cardinals, by all accounts, given his many gifts, should truly have emerged as one of our greatest popes. Instead it has been said of him that his was the beginning of the complete moral decay of the papacy, paving the way for the Protestant Reformation. His election was most probably the result of bribes although he was also sought because of his great intellectual gifts. In record time he elevated six nephews to the rank of cardinal creating thirty-four cardinals altogether, all men of worldly pursuits. 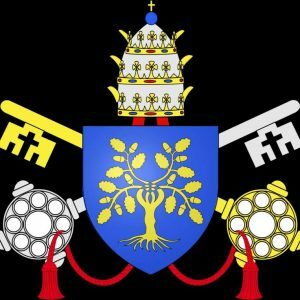 His use of nepotism was unmatched in any other papacy and the lavish spending of exorbitant sums to equip them with titles and land grants reduced the Vatican coffers to nothing. At the request of Ferdinand and Isabella, at the end of the 15th century, he created the Spanish Inquisition and made Tomas de Torquemada the Grand Inquisitor. Their stated reason was to counter the perceived dangers of recent Jewish and Islamic converts: had they really converted or were they masking their true beliefs in an effort to remain in Spain? 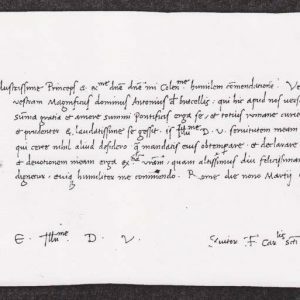 The brutality employed by this inquisition and its leader forced Sixtus to issue a brief reprimanding them for their excessive use of brutality. The Spanish Inquisition remains a blight not only on the papacy of Sixtus IV but on the church itself. Along with the shameless promotion of his family, Sixtus was indirectly involved in a murder conspiracy against the Medici family contrived by his nephew, Girolamo, whom Sixtus had made a count, and a Florentine friend. They managed to kill one brother and seriously wound the other during a Mass at the cathedral. Sixtus attempted to launch a new crusade against the Turks and failed. His promotion of the marriage between Ivan III of Russia and the daughter of the last great Eastern Christian emperor did not achieve the desired effect of uniting Russia with Rome. Numerous ill-advised political alliances and their eventual demises enraged the people and chaos ensued in the Papal State and surrounding area. Money was in short supply and as a result taxes were levied and indulgences sold. The spiritual prestige of the papacy was left in shambles at the end of Sixtus’ reign, leaving one to marvel at its ability to survive this immensely secular and often immoral chapter of church history. Despite his accomplishments in the realm of aesthetics and restoration in Rome, his papacy is considered a failure diplomatically, politically, militarily and spiritually. Sixtus IV died on August 12, 1484, at the age of seventy. His pontificate lasted for thirteen years. Pope Sixtus’ tomb was destroyed in the Sack of Rome in 1527. 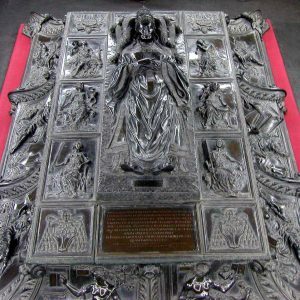 Today, his remains, along with the remains of his nephew Pope Julius II (Giuliano della Rovere), are interred in St. Peter’s Basilica in the floor in front of the monument to Pope Clement X. A simple marble tombstone marks the site. 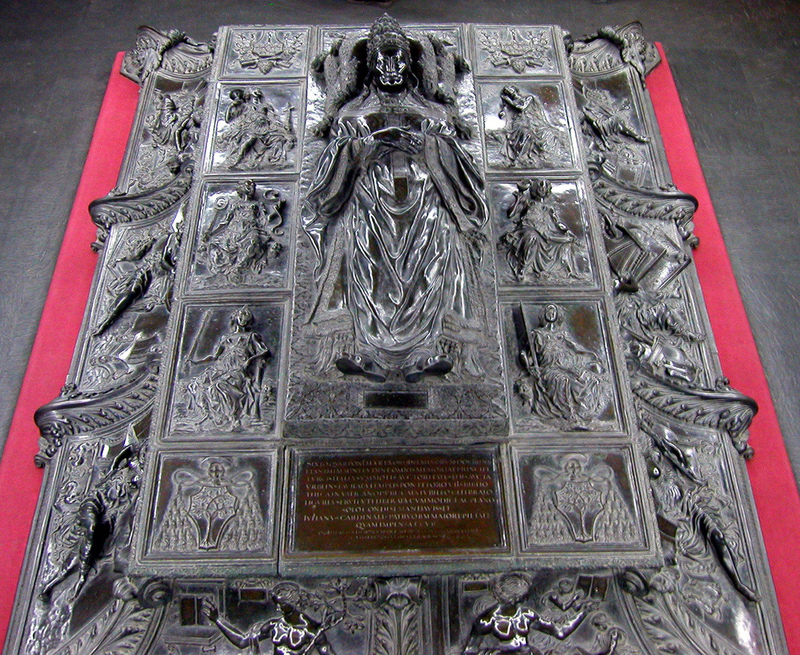 His bronze funerary monument, now in the basement Treasury of St. Peter’s Basilica, like a giant casket of goldsmith’s work, is by Antonio Pollaiuolo. The top of the casket is a lifelike depiction of the Pope lying in state. Around the sides are bas relief panels, depicting with allegorical female figures the arts and sciences (Grammar, Rhetoric, Arithmetic, Geometry, Music, Painting, Astronomy, Philosophy, and Theology). 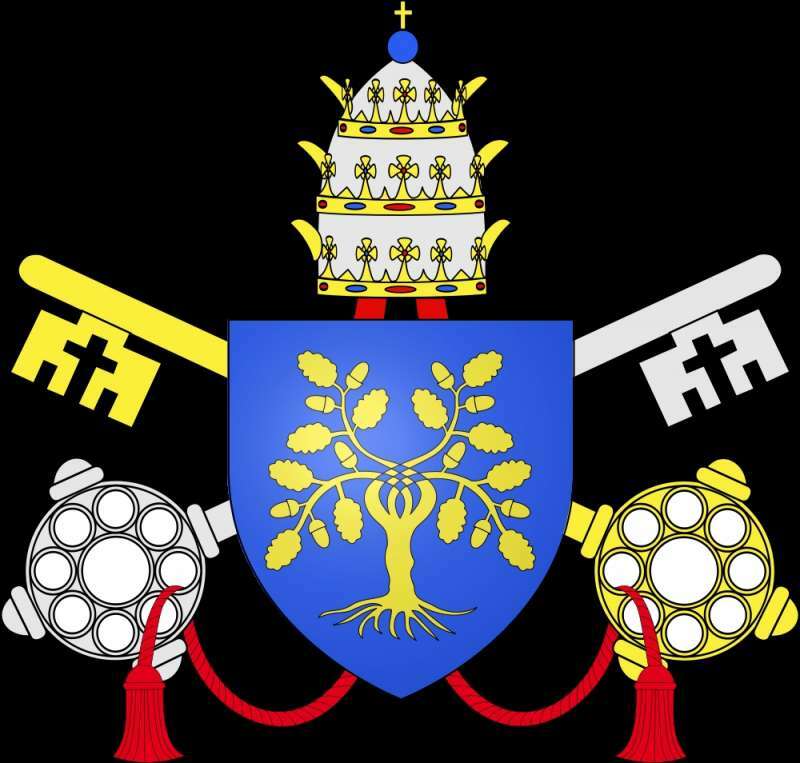 Each figure incorporates the oak tree (“rovere” in Italian) symbol of Sixtus IV. The overall program of these panels, their beauty, complex symbolism, classical references, and arrangement relative to each other is one of the most compelling and comprehensive illustrations of the Renaissance worldview.